If you want to dip your toe into the waters of self-sufficiency or dive into deep waters you have to start somewhere. Here I have 20 Self Sufficient Living Tips that help you become less reliant on stores, government, and more. These are all relatively simple changes that used to be commonplace for our grandparents and fell by the wayside over the years. I love being able to share some simple self-sufficient living tips with you. 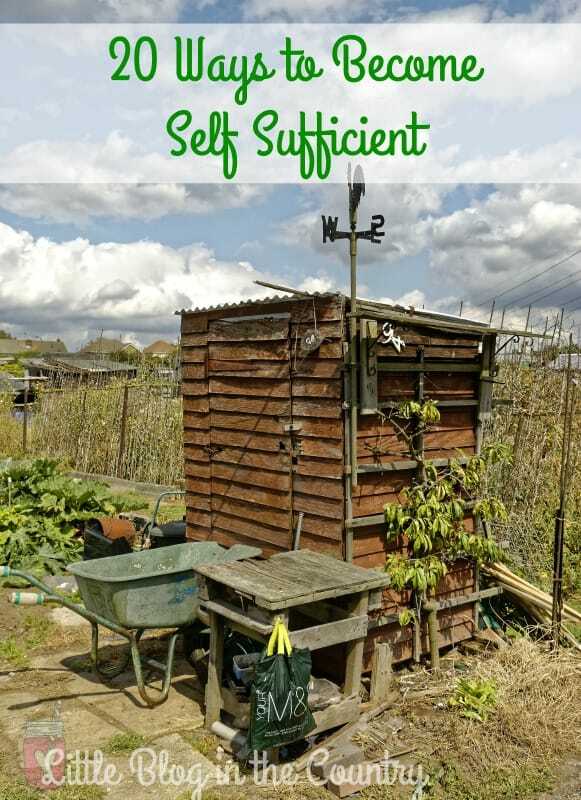 I know that many of us may not be able to go “off the grid”, but learning how to be more self-sufficient in some ways helps a lot. 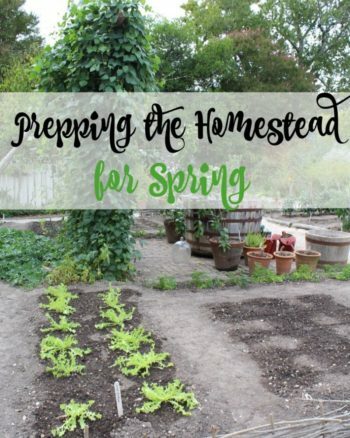 From doing simple things like starting a garden to making your own homemade foods, you can easily learn a few things to prepare should you need them. Also, teaching your child some of these tips for self-suffient living are very important for their future. Make your own bread- Get a simple bread recipe that you love and then experiment with adding herbs and spices for variety. This is so much better for you than white processed store bread. Try this tasty Homemade Honey Wheat Bread recipe. Learn to fish- If you don't already know how to fish- get some basic poles and tackle and learn. Fishing can provide you and your family with another source of food for free. Dehydrate and Preserve- Fruits and vegetables shelf life can be expanded many times over by dehydrating and preserving them. This is one of my favorite parts of self-sufficient living. I love being able to preserve foods we have grown for later. Cut wood- Have a good quality ax on hand and learn to use it properly, you can cut your own wood for fires, fencing, and more. Barter- Find friends and neighbors to trade with, not just physical items but skills, labor, and other resources. This is a win-win situation. Make your own cheese- Especially if you are raising your own dairy cows or goats. You can make tasty cheese for a fraction of the cost and much healthier than anything you can find in a store. Make homemade meat stock- Good healthy bone broth is not only a wonderfully delicious base for soups and other meals but it is full of vitamins and minerals to keep your family healthy and strong. Have basic mechanic skills- Learn to change your own oil, a tire, and air filters. Simple skills like these will save you a ton in repair bills. 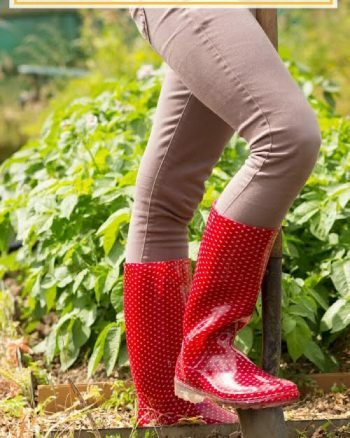 Learn how to sew- Being able to sew your own clothes, blankets, and more can be invaluable, at the very least learn how to repair buttons, sew hems, and make other fixes to your clothing. Live within your means- This skill is one of the keys to living with self-sufficiency. Learn to put aside money in savings, pay cash, avoid credit cards, drive a used car, and any other way you can to spend within your income. 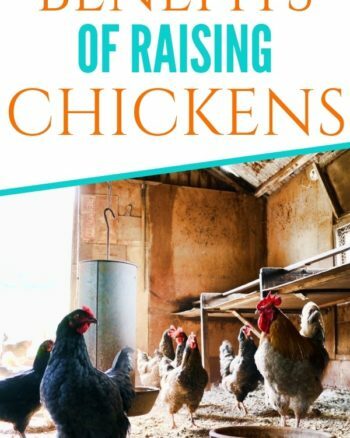 These great tips for learning about self-sufficient living are a perfect place to begin your journey toward learning how to take care of your family. I love knowing that should something happen outside, we could easily live off the land. Thank you for all the ideas & tips. These are great tips! I feel like I’m making strides in a lot of these areas, like gardening and composting, but still have a ways to go on sewing and mechanical work! These are all wonderful things to learn. I couldn’t do over half of these! However, I have considered learning them. Don’t feel bad, I couldn’t do many when I started. Thank you for stopping by Crystal.